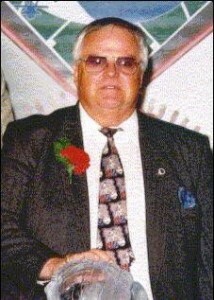 Richard Bélec was one of the leading organizers of amateur baseball in Quebec for more than 50 years. After helping to establish Baseball Quebec, he served as the organization’s president for two terms (1970 to 1972, 1980 to 1994) and as president of the Quebec Junior Elite League for 16 years. The diamond pioneer also helped create L’Académie Baseball Canada (ABC), a groundbreaking program that gives players the opportunity to obtain a post-secondary education in Canada, while playing competitive baseball. Eric Gagne is one of the program’s graduates. While with Baseball Quebec, Bélec also acted as a liaison with the Montreal Expos. On a national level, Bélec served as the vice-president of Baseball Canada for 14 years, prior to becoming the president from 1994 to 1996. He was also the director and president of the International Baseball Federation’s (IBAF) Youth Commission for 10 years. For the IBAF, he was the coordinator of several World Championship tournaments, as well as Intercontinental Cups hosted by Montreal and Moncton. For his more than half-decade in amateur baseball, Bélec was twice deemed Volunteer of the Year by Sports-Quebec and was inducted into the Quebec Baseball Hall of Fame in 2000.